"Suppose you were a quiet, respectable, sedentary business or professional man, and the captain of a tramp steamer bound to South America and up the Amazon suddenly dropped into your peaceful office, invited you to go along with him, got your acceptance by a clever trick, and had you at sea before you could stop to think—wouldn't you expect to find 'something doing'?" Thus begins this classic of travel literature, in which a London journalist sets sail for Brazil and traverses 2,000 miles of wilderness. 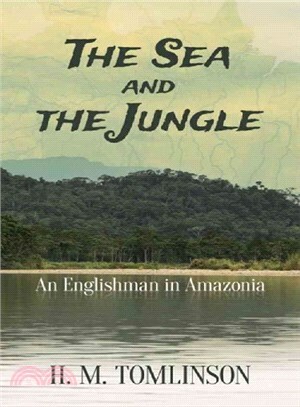 Part diary and part adventure story, H. M. Tomlinson's eloquent and hauntingly poetic account of his first ocean voyage also constitutes a report on the first successful ascent of the Amazon River and its tributary, the Madeira, by an English steamer. Originally published in 1912, Tomlinson's travelogue was hailed decades later as "one of the few level-headed works in the literature of this region" by naturalist Peter Matthiessen, who pronounced it "accurate and difficult to improve upon." British author and journalist Henry Major Tomlinson (1873–1958) was a lifelong Londoner noted for his anti-war and travel writing. His novels and short stories frequently portray life at sea.